Tails fanning off Sonic and Sally. . Wallpaper and background images in the Miles "Tails" Prower club tagged: tails sonic sally. 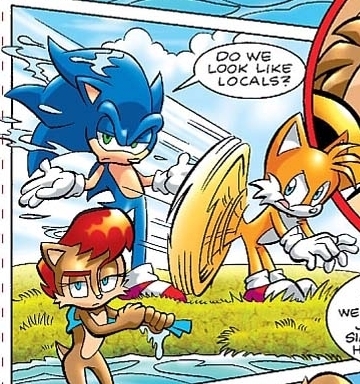 what if tails farted? JK JK! SHUT-UP SONIC!!! BE GREATFUL I'M FANNING YOU W/MY TAILS!!! Tails Deserves so much more than him. He's not your slave SONIC! !